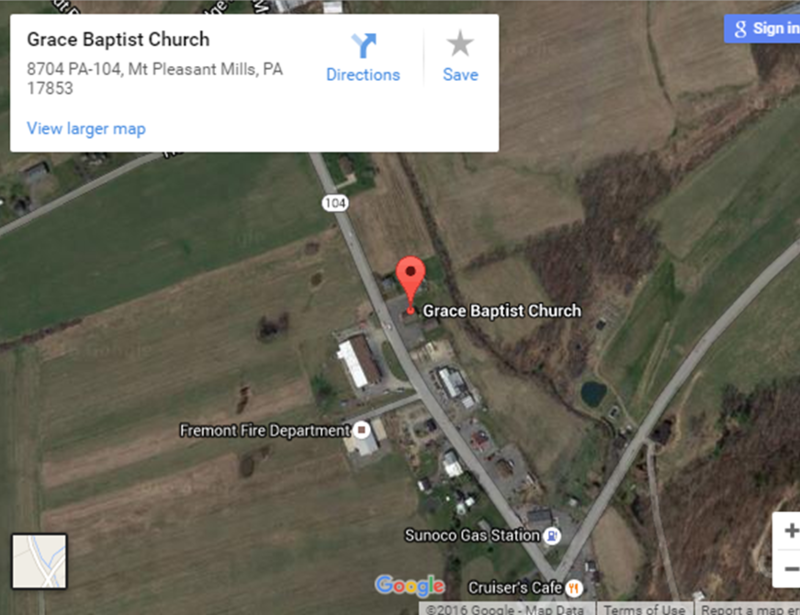 Grace Baptist Church is an independent, Bible-believing church situated ¼ mile north of Mt. Pleasant Mills, Pennsylvania. Mt. Pleasant Mills is approximately 45miles northwest of Harrisburg. We are located in rural Snyder County, which by the 2000 census report has a population of 37,564 people with 9,981 families. Our congregation is an agrarian group of people whose income comes largely from farming and lumbering. 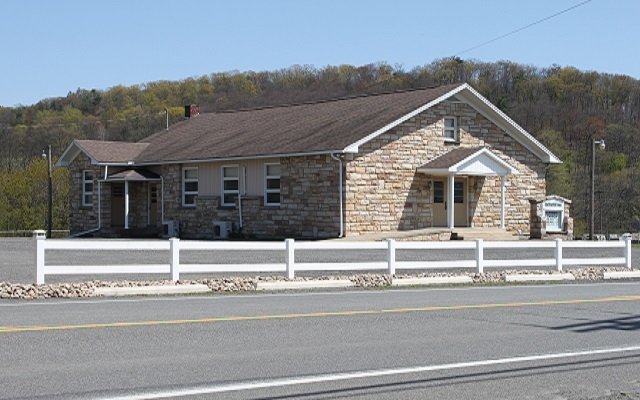 The church had its beginning in Paxtonville, another small community in Snyder County, in the 1950’s. It was relocated to its present location in the early 1960’s; the structure having been built by the Pastor and men of the assembly. In the 1980’s, another building was built which was used for a school, but is now being utilized as a fellowship building and as classrooms for our children and teens’ classes. At the present time, we have a Sunday morning service with an attendance of 40 to 50 people with the majority returning for Sunday evening and Wednesday evening services. This group includes 9 children and 13 teens. We have no Sunday school but do have a children’s class and teen program on Wednesday evening. We function with eldership rule. We take a strong position on divorce and remarriage, versions, and contemporary Christian music. We are not sympathetic to Reformed Doctrine.